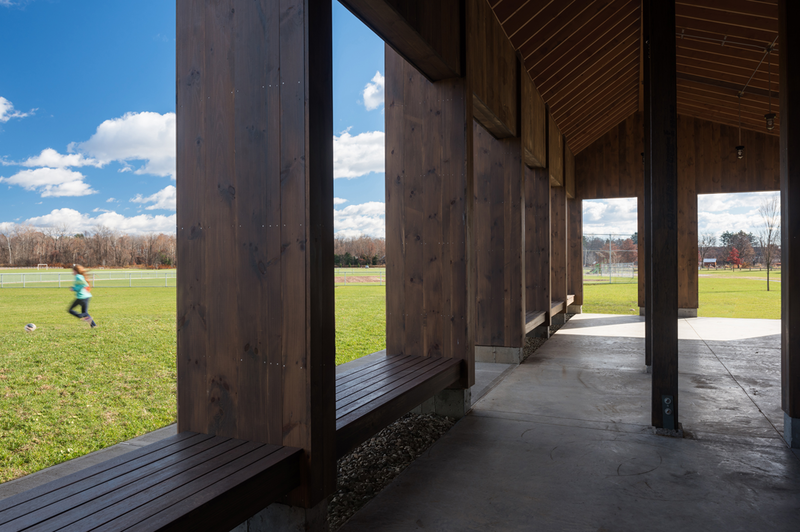 This 3,300 square foot project in Florence, Massachusetts serves as a pavilion for community recreation fields. 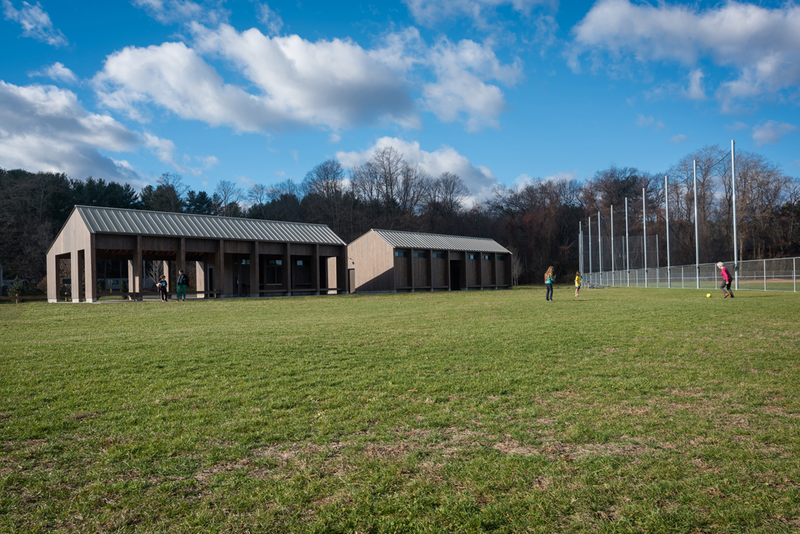 The buildings provide a quiet backdrop to the activity on the fields, and offer shelter for the players and spectators gathered there. 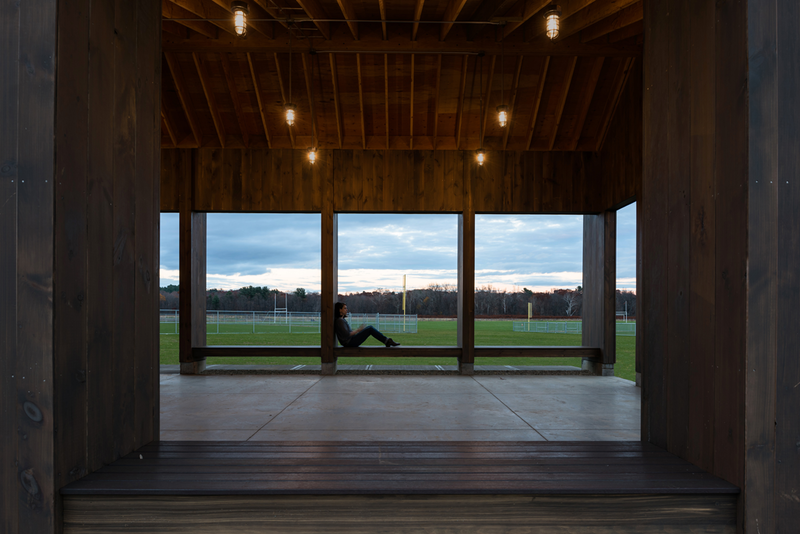 Strung between each structural module is a built-in bench, inviting visitors to stop, rest, and enjoy the view. Enlarge each photo by clicking on it. For a simple function, the architect put a lot of thought into a connection to history, the circulation through the building, and the scale of the residential v. the recreation areas. It’s hard to do something very simple… this hit the nail on the head. 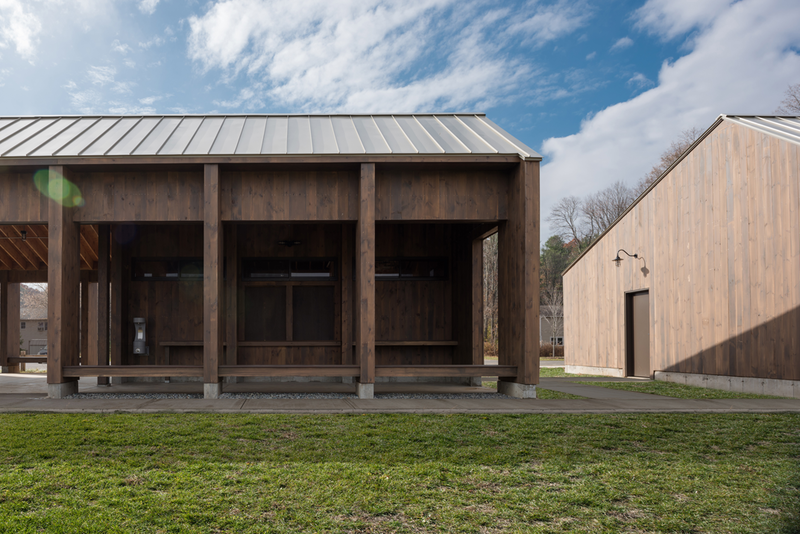 The jury liked that the two pavilions were treated differently (in terms of voids and solids). Presentation was great; it explained the project very well.